Hi, I need this urgently so please help me. 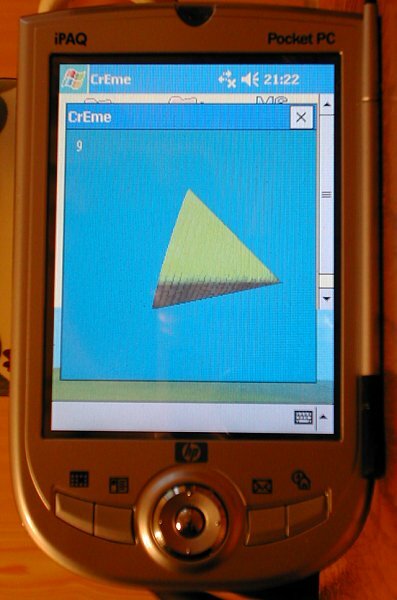 I need to know if pocket PCs have or can have a jvm installed, QTEK devices hace the ms jvm installed by default. POCKET PCs have or can have a jvm, not the j2me but the j2se? Does the ms jvm run the same byte code than the normal jvm. The application has been compiled on the PC with the normal JDK in 1.1 compatible mode and then executed on the Pocket PC's VM. However, it suffered from the absense of a FPU on that thing. Hmm, I think there are free ones kicking about nowadays. There is even Java VM for Palm OS 5 and higher. Well, I have not found any free jvm, I found a page with some third party vms but were not really java, for example waba. I have a Samsung i550 pshone with palm and cant get a jvm to put on it. Anyway, back to the topic of pocket PCs, we want to use QTEK devices that have an ms jvm. it should work? I think so. If you limit yourself to 1.1 of course because i've never heard of a MS VM that supports anything higher. Ok, I found all this thing of the ms jvm strange so I decided not to believe the specifications of the salesperson and decided to investigate on the QTEK homepage. The jvm loaded is the micro edition. Its a QTEK 9090!